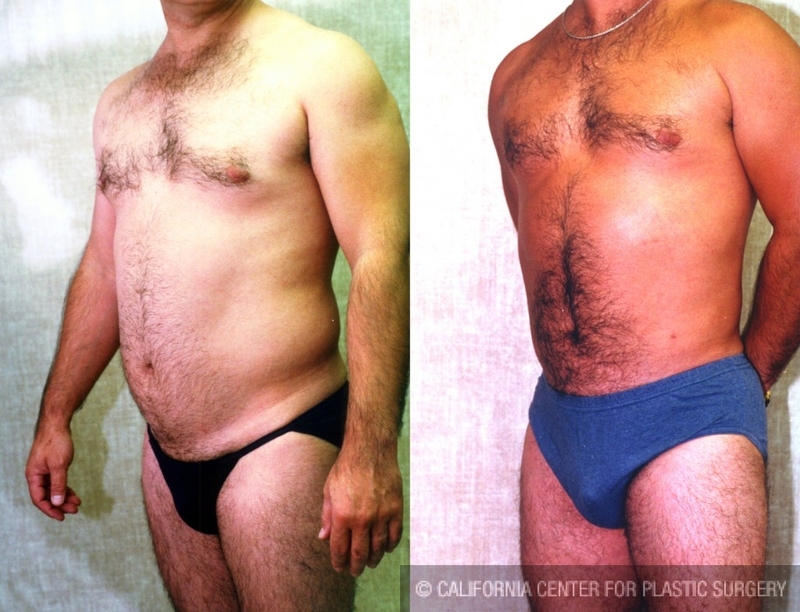 These are before and after liposuction pictures of a 49 years old man who says that he was in great shape when he was younger. This ex-Marine from San Diego says that he was always in excellent shape but once he got older he started to gain body fat around his gut despite continuing to work out. 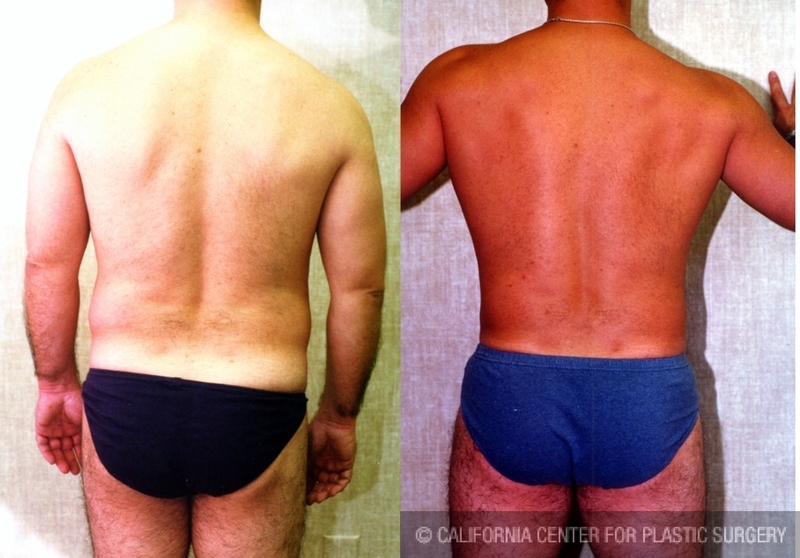 He sought liposuction because he wanted to get rid of unwanted fat in only a few areas such as love handles and the upper abdomen. He says that “I could not get spot fat burn no matter how much I did abdominal crunches and sit-ups.” His story is not uncommon. In fact, there is now significant scientific literature that shows that with aging men loose Testosterone levels and gain weight. 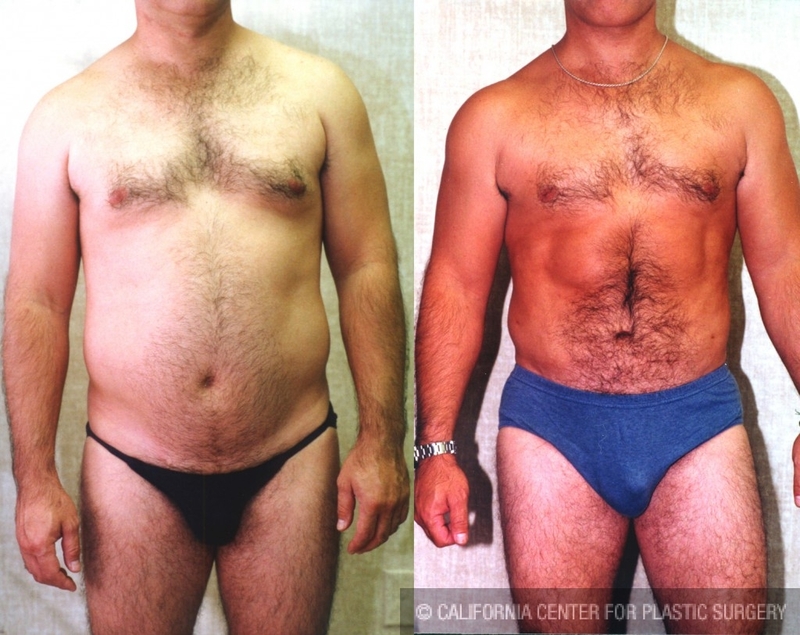 While hormone rebalancing is useful for these men, they will often need liposuction to get their body back to its original shape. Dr. Younai is a Board Certified Plastic Surgeon who is not only specializes in liposuction of men and body contouring, but he is also very aware and knowledgeable of the hormone changes in aging men. He would be happy to refer men who need hormone optimization to the appropriate specialist.